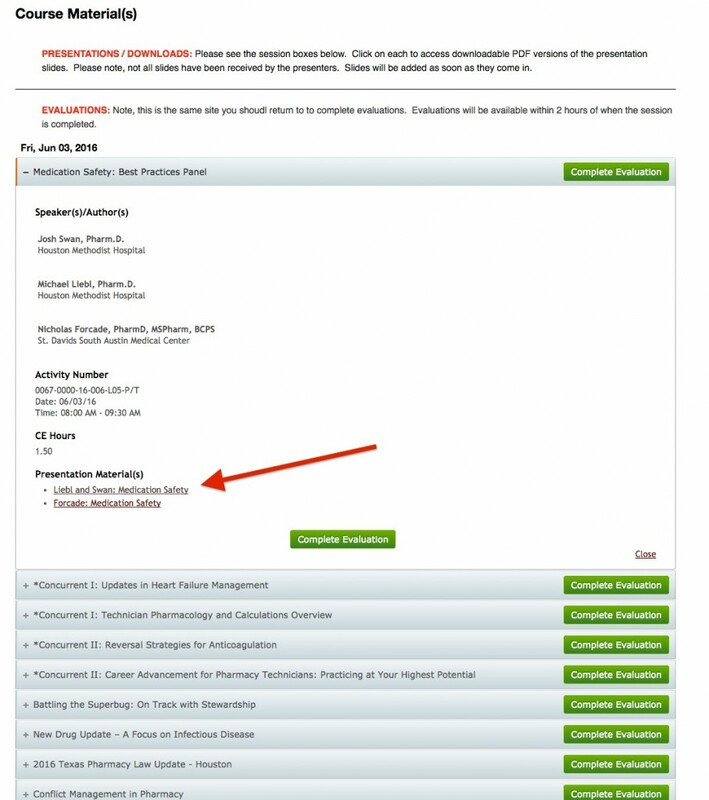 Course materials are linked to each presentation on the same site you used to register for the event. This system requires a password, one you used when setting up your registration. For completing evaluations after the event, please follow the same steps below, then see the “complete evaluations” section at the bottom of this page. Note: Use the Email you used when you registered for the conference. If you do not remember your password, use the “forgot password” link to set up a new one. If you need assistance, please call the UT CPE office at 512-471-6213 between 8-5 PM, or see our staff at the check in table at the hotel. Click on the “Pending Programs/CE” link at the top of the page. 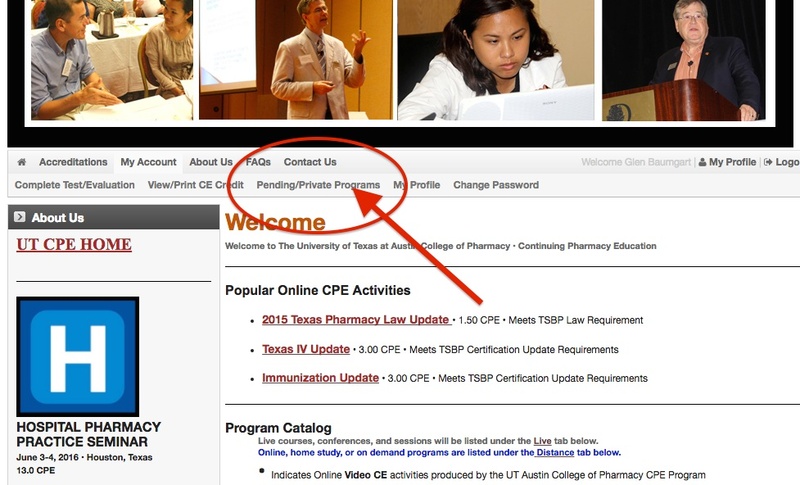 Then click on the name of the program,”Hospital Pharmacy Practice Seminar“. This will bring you to the event page. Click on the presentation titles you plan to attend. Under each presentation section, look for “Presentation Material(s)“. Each presenter’s slides have been linked in a PDF format. 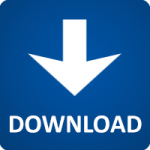 You can click the title of the speaker, then download the PDF document. Note: This is the same process used to complete the evaluations for CE Credit. At the conclusion of the conference, use the steps above to access the program. Click the green “Complete Evaluation” tab for each session you attended. Once you have completed the evaluation, CPE credit for this program will automatically be submitted to your NABP eProfile. Please be sure to double check your NABP eProfile a few days after completing the evaluations to make sure the credits properly loaded to your eProfile. Note: Evaluations must be completed within 60 days of the end of the conference in order to claim credit. This is a rule established by ACPE for CPE accreditation. UT Austin is unable to make changes to this rule.